Some the biggest names in cinema are set to gather at London’s Royal Albert Hall for this year’s Bafta film awards. The Favourite, which stars Olivia Colman, Emma Stone and Rachel Weisz, leads the race with 12 nominations. It’s well ahead of its closest competitors – Bohemian Rhapsody, A Star Is Born, Roma and First Man, each of which has seven nominations. The ceremony takes place from 19:00 GMT, and will be hosted by Joanna Lumley for the second consecutive year. 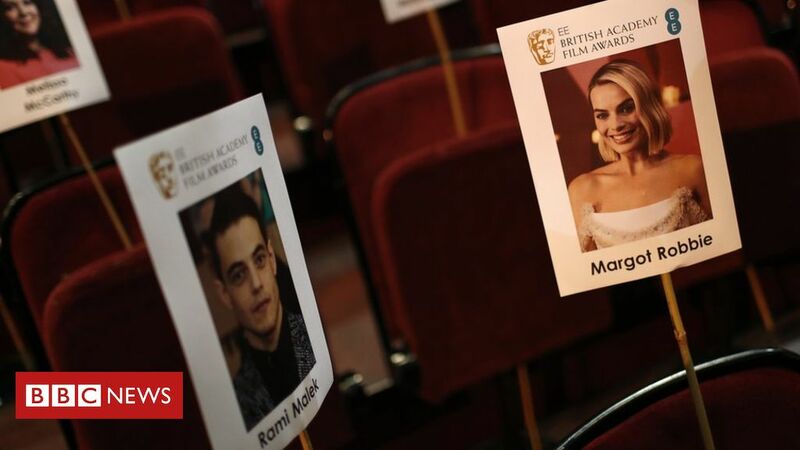 The Baftas are often a good indicator of who will go on to awards glory at the Oscars – which are being held this year on Sunday 24 February. Last year, the winners of the acting categories – Frances McDormand, Gary Oldman, Allison Janney and Sam Rockwell – were exactly the same at the Baftas and the Oscars. However, the Baftas are historically more likely to reward British talent than the Academy Awards, which could mean wins for Colman and Richard E Grant. They are strong contenders for best actress and best supporting actor respectively, although neither are the favourite in their category for next month’s Academy Awards. Weisz, Steve Coogan, Christian Bale and Claire Foy are the other British acting nominees. The Favourite is the only production to be up for both best film and outstanding British film. As always, many top stars will make the trip over from Hollywood. Nominees expected to attend include Amy Adams, Viola Davis, Bradley Cooper, Glenn Close, Letitia Wright, Mahershala Ali, Margot Robbie, Melissa McCarthy and Rami Malek. Lady Gaga, who appears opposite Cooper in A Star Is Born, will not be attending as the ceremony clashes with the Grammys in the US. One person who definitely won’t be recognised among the winners is Bohemian Rhapsody director Bryan Singer. His name has been removed from the film’s Bafta nomination due to allegations he sexually abused under-age boys. Singer denies the allegations, which he calls a “homophobic smear”.